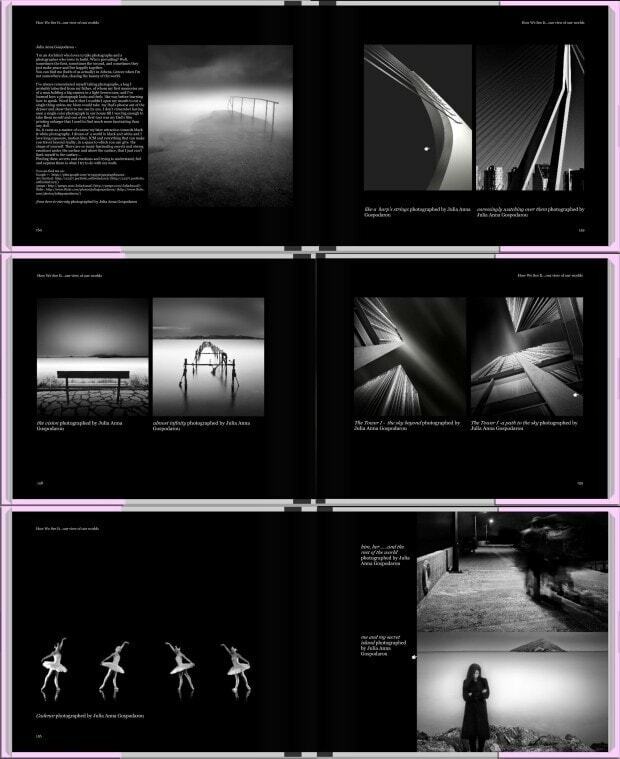 Artist Portfolio – 10 of my photos published in the book, next to 31 other great female artists. A book created by a team of female photographers to show their world and their creations. A full preview of the book (my photos start on page 160) is available at +Blurb Books for only the next 24 hours, then I will change it back to partial preview. Supporting a great cause as all proceeds from the sale of the print and ebook versions will be donated to Love your Body Foundation, an organization that deals with body image and eating disorders. Order it here and enjoy!! You can find more resources about fine art black and white photography, (en)Visionography, long exposure photography and architectural photography in my extensive collection of photography tutorials. To receive my future tutorials directly via email you can subscribe to my website. More about how to create fine art photography, from vision till processing and the final image you can read in my book From Basics to Fine Art – Black and White Photography, with co-author Joel Tjintjelaar, and in my video tutorial Long Exposure, Architecture, Fine Art Photography - Creating (en)Visionography a hands-on tutorial accompanied by an eBook presenting my processing workflow, or attend one of my workshops. Julia Anna Gospodarou is an internationally acclaimed photographer, architect with a Master degree, author and highly sought-after educator, teaching workshops and lecturing around the world. Founder of (en)Visionography™ and creator of Photography Drawing™, author of the best-selling book From Basics to Fine Art - Black and White Photography , with high distinctions in the most important photography competitions worldwide (International Photography Awards IPA Photographer of the Year, World Photography Awards SWPA and Hasselblad Masters finalist, as well as 80+ more awards), widely published internationally in books and magazines, Julia is passionate about the art in photography and striving to spread it into the world. Posted in Interviews Awards Publications Exhibitions. RSS 2.0 feed. Notify me of new tutorials/articles by email.